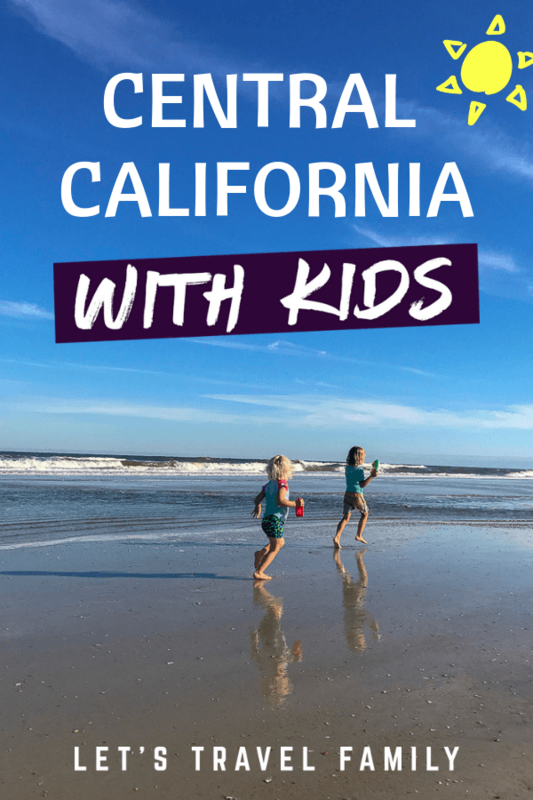 Avila Beach With Kids – A Hidden Gem! 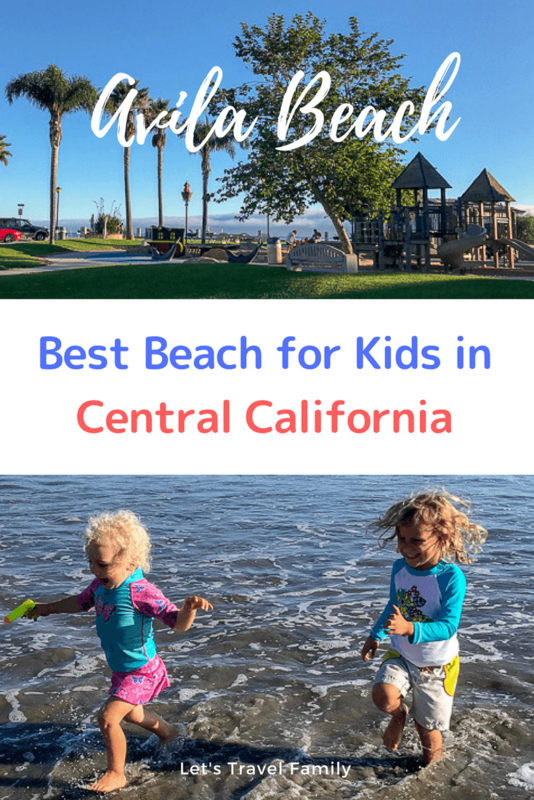 When you think about visiting California does the central coastal town of Avila Beach with kids ever come to mind? Or, do you picture the popular Southern California family destinations such as Disneyland, the San Diego Zoo, or Coronado Beach? Maybe you conjure up a picture of the great Redwood Forest in Northern California with all the amazingly huge trees. Well I want to let you in on a little hidden gem that you just must visit. It’s a small costal city in a calm bay with many family friendly attractions in Central California called Avila Beach. And it is absolute paradise! 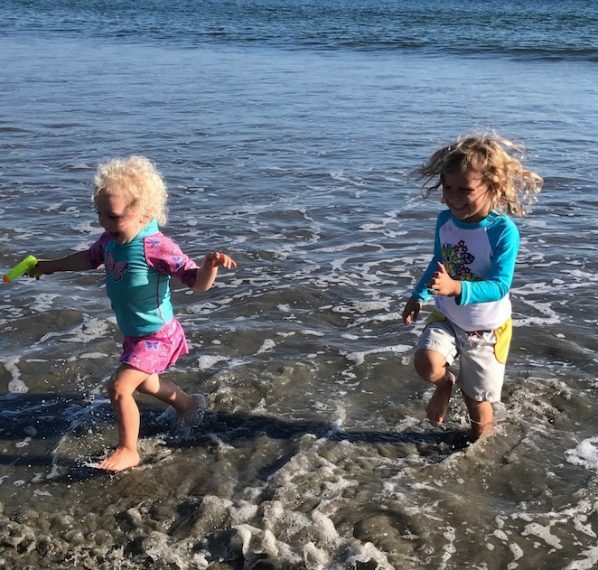 Why Should you Visit Avila Beach with Kids? The sand is soft, the people are genuinely nice, the air smells amazing and it is a fun and safe place to spend a weekend! Our family spent over a week near Avila Beach, and we yearn for the day we can visit again. The beach itself is in a cove of sorts, so it is much calmer for the kiddos to swim and play in the water. The cove also brings in the dolphins!! We saw them on two occasions working as a group to fish. The kids had so many questions and we used that time to help them understand how dolphins feed. 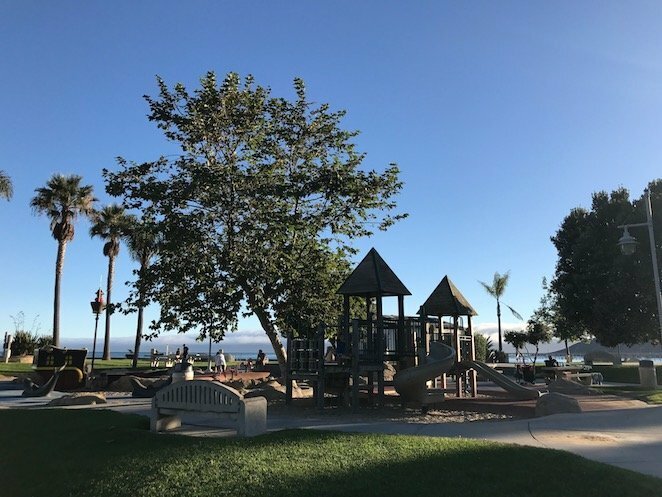 If you decide to bring your family to Avila beach, you will be happy to know that there is a great playground right at the beach! Oh, and there are clean bathrooms, water fountains and outdoor showers to rinse the sand off the kiddos. If the playground doesn’t interest your kids, then the large slide and swings that are actually ON the beach might! They can play on these all day long while you keep an eye on your others making sand castles. There are many shops and restaurants that line the beach. Most importantly, there is a great coffee shop in case you need a caffeine fix! Or, is that just me? When traveling, sometimes you may need a place to set up and get online away from the kiddos. My husband, the digital nomad, worked one afternoon from the coffee shop. This was when he spotted the humpback whales breaching down the pier! Avila Beach Aquarium, or what is listed as Central Coast Aquarium, is also another fantastic family find in Central California. It is just behind the playground and very affordable at only $8 per person. San Luis Farmer’s Market is hard to beat. It is only located a short drive away from Avila Beach and great place to bring the family! 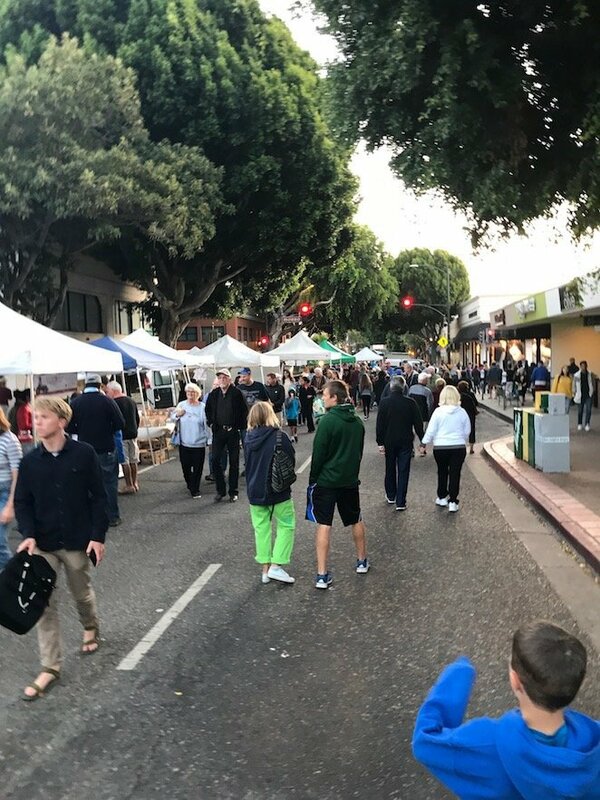 The Farmer’s market is open every Thursday evening from 6pm-10pm and attracts so many people! If you are looking for a great place to camp, I highly recommend the KOA of Avila/Pismo Beach. We stayed 7 days and enjoyed every minute of our stay. Traveling in an RV with kids can be a great way to see Avila Beach and the surrounding areas. 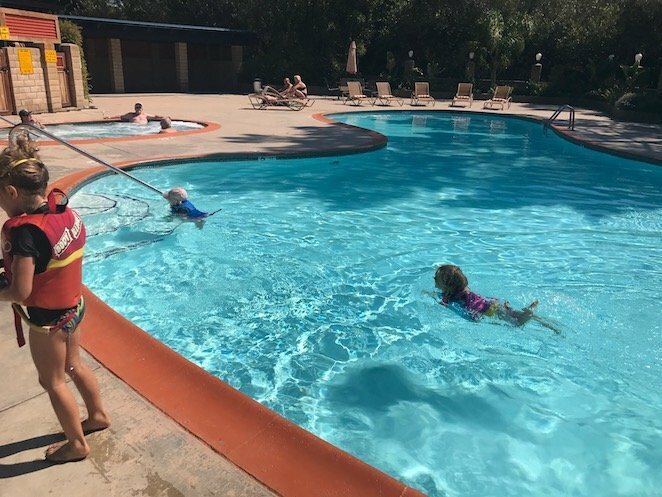 The KOA has a pool, hot tub, playground, dog park, indoor game room and is right on the fully paved bike trail to Avila Beach! 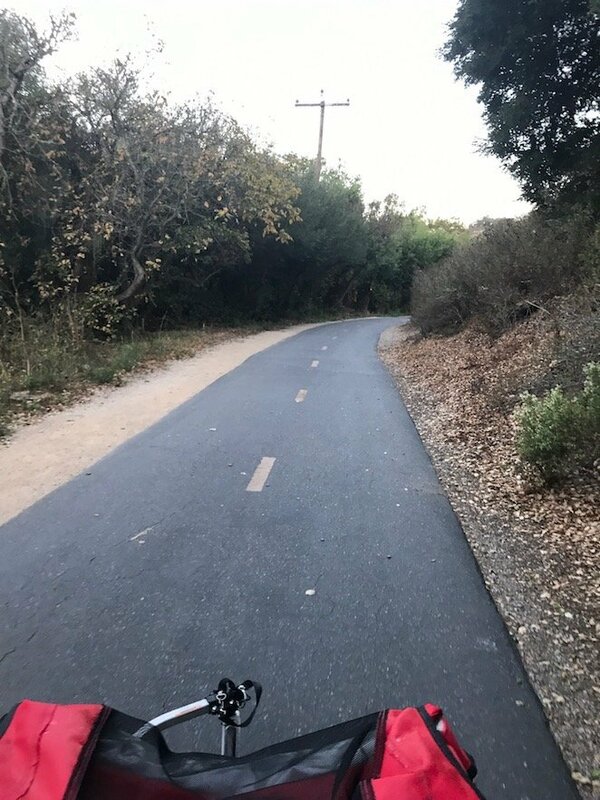 The Bob Jone's Bike Trail is a paved trail that works it way all the way to Avila Beach. We biked the 1/2 miles to Avila Beach together as a family on the trail several times during our stay. If you enjoy biking or running, you should really check out this trail. The Avila Beach area is a fantastic destination to go on a family vacation. Our family made some of the best memories during our week in Avila Beach. The weather was fantastic with a lot of sunshine and not too much humidity. The bugs were not bad and the people were really nice. We found Avila beach to be much less expensive then other destinations in California such as San Fransisco and San Diego. So, if you are sticking to a strict budget you may want to consider the central coast for your next family adventure! If you are looking for a family vacation destination in the mountains check out this post about the best things to do in Grand Teton National Park with kids. Or, click here to find a complete guide to the history-rich oceanfront city of St. Augustine, Florida.